Another wonderfully cool and showery day today but that might be the end of it as the forcast shows it getting hotter from now on. Oh well, it was good while it lasted. Since I had a bit of time before I had to start picking stuff for the market tomorrow, I got stuck into a job I have been thinking about for ages. I have started the onerous task of digging out all the running grass between all the beds. 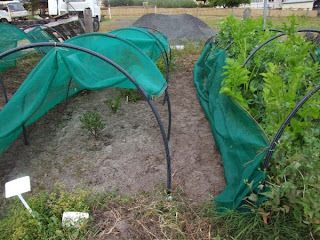 I am sick of all the weeding to keep the edges nice so I am fixing it once and for all. I rang up a supplier for some big bales of straw to put in between but he won't have any till the start of Feb so I hope it doesn't get too hot and start to dry out the ground before I can get it covered. It is much better to put straw over bare damp ground than dry to keep in moisture and help it break down quicker so it doesn't have enough time to all blow away. I just can't put this job off any longer. Anyway I have made a start and when my new helper comes in January he can help get it all done. My four surviving, very precious and expensive Bambara groundnuts are growing well. I was a bit worried as the weather has been too cool and damp for them but they are coping well. It will be great when they start flowering and making pods. 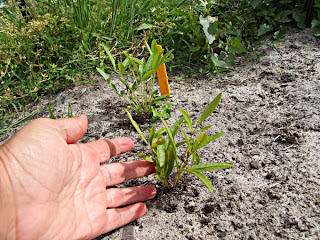 We are expecting heat up to 40 c during the coming week so that should help them get a move on as they are desert plants. 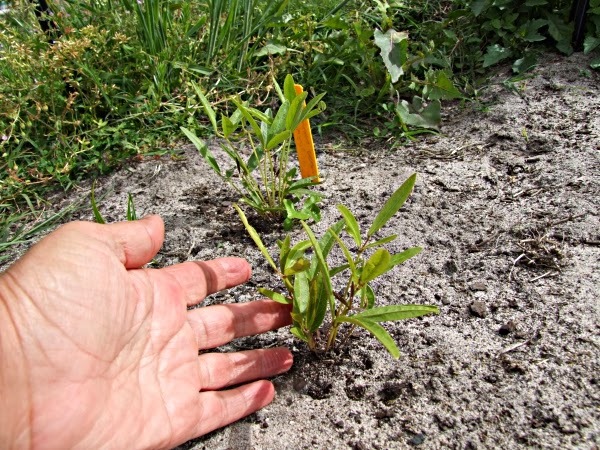 I am trying to grow as many dry loving food plants as I can so that one day I can have a block that I don't have to water during the summer. That will be a showpiece. 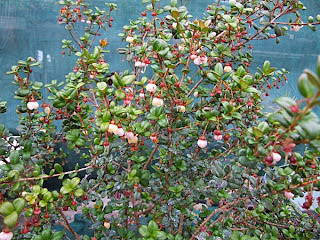 The Chilean guavas are flowering and setting profusely right now as the weather has been perfect for them. I love the fruit but I wish it was a bit bigger. They grow best in the shade and I have my oldest bush growing on the southern side of our shadehouse so it gets enough shade and water to keep it happy. When they are starting to ripen their fruit in a couple of months it will be time for the Luma berries to start flowering. 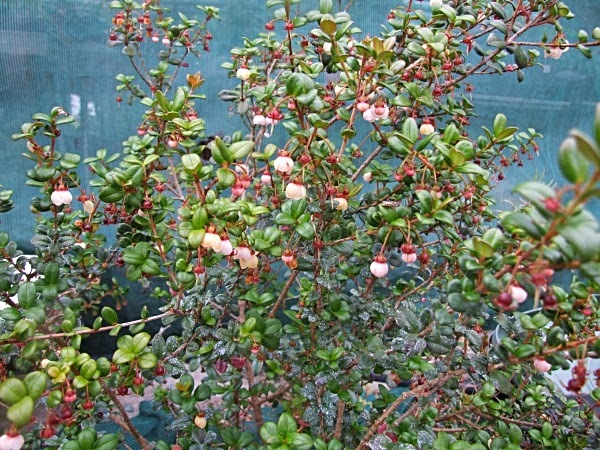 Luma (Luma apiculata) are a bigger shrub/tree that likes more sun and has berries/fruit that is nearly identical to the Chilean guava so it is almost like an extension of the season.